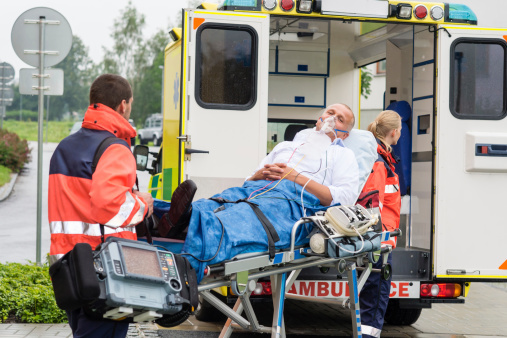 A new study published in the journal Advanced Materials suggests that nanocapsules that target activated clotting platelets with clot-busting drugs could be administered to stroke victims by paramedics—without the need for expert equipment. The study uses nanotechnology to approach the issue of how to deliver clot-busting drugs to the exact location of the clot. Researchers developed a nano-sized capsule that responds to thrombin by breaking open and releasing the clot-busting drug once it reaches the blood clot. More than half the people who require a clot-busting drug cannot use current treatments because of the high-risk of serious bleeding. Researchers conclude that the targeted nanodrug offers a safer alternative with fewer side effects. Each year, about 1.5 million Americans either have a heart attack or a stroke. In Australia, this figure reaches to about 55,000. The study was funded by the National Health and Medical Research Council (NHMRC), the Australian Research Council (ARC), and the National Heart Foundation of Australia. Gunawan, S.T. et al., “Multifunctional thrombin-activatable polymer capsules for specific targeting to activated platelets,” Advanced Materials, http://onlinelibrary.wiley.com/doi/10.1002/adma.201502243/abstract, doi:10.1002/adma.201502243, published online August 3, 2015. Paddock, C., “Clot-busting nanocapsule could revolutionize stroke and heart attack treatment,” Medical News Today web site, August 5, 2015; http://www.medicalnewstoday.com/articles/297674.php.